Godstone Baptist Church, Godstone Hill, RH9 8AH. 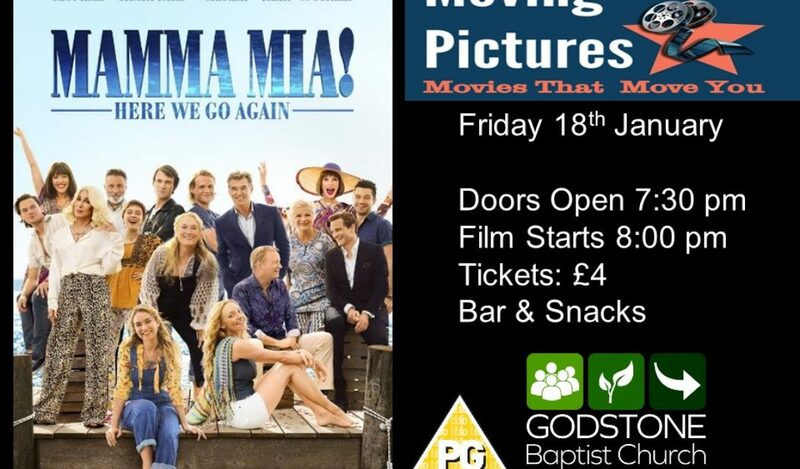 In our monthly community cinema night for January we’ll be showing the film “Mamma Mia! Here We Go Again” (PG). Tickets: £4. Bar and Snacks available to purchase. Doors open: 7:30 pm (film starts at 8:00 pm).